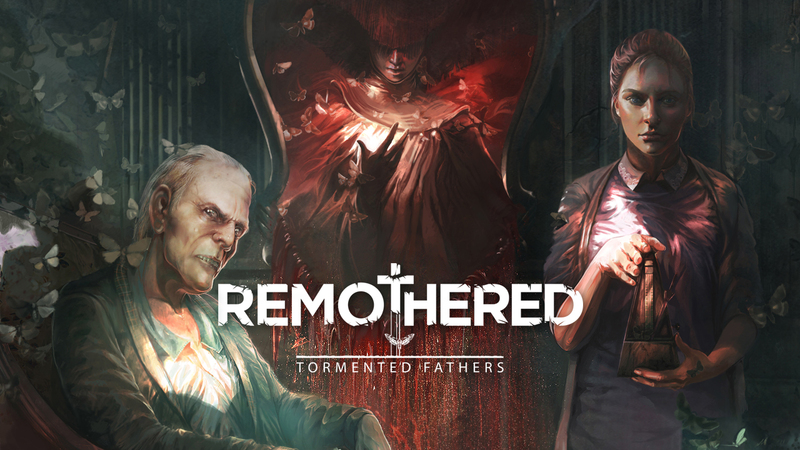 Remothered: Tormented Fathers is a survival horror game from developers Stormind Games, that left me on edge for the whole playthrough and is a worthy addition to the genre, with a very old-school vibe and great, albeit terrifying, atmosphere. In Remothered we’re introduced to Rosemary Reed, a young woman investigating the disappearance of a girl named Celeste. This brings us to the house of Dr. Richard Felton, the girl’s father. When we first meet Dr. Felton, everything is going well but during a conversation between the two, the tone changes rapidly and Rosemary is asked to leave the house and to not come back. Rosemary waits for Dr. Felton’s nurse to leave the house that night and creeps back in under the cover of darkness. I don’t want to get into spoilers but for the first twenty minutes or so, the game felt like a detective game, find clues through notes or newspaper articles found around the mansion, of which there are a lot and it does a decent job of fleshing out the story. Then something happens and the game switches gears and we’re into old-school survivor horror territory. Stormind Games did a fantastic job setting up the atmosphere in Remothered. As Rosemary is walking up to the old mansion, there’s a quiet eeriness with just the sounds of her footsteps, her high heels tapping off the paving and a slight rustling of leaves from the breeze. The world, although not completely devoid of colour, has this cold, gloomy grey palette. Inside the mansion, there’s very little lighting, the story provides a reason for this, so Rosemary sneaks around with a torch that she can toggle on and off and it only throws light in the immediate area around her, never illuminating enough that made me feel safe, or that allowed me to see something off in the distance. Lightning from outside coming in through a window would sometimes punctuate the darkness accompanied by the crack of thunder. All these little elements coming together worked well to put me on edge as I slowly moved through the halls. The voice acting is also excellent. When Rosemary sounded panicked, I panicked and I never want to hear Dr. Fenton singing Old McDonald had a Farm ever again. The mansion itself is old and suitably haunting. Early in the game I peeked around a door into a laundry room and was convinced there was someone leaned over at the back wall. There wasn’t, it was a pile of laundry on a chair, the shadows from the laundry crumpled up, mixed with my overactive imagination that I was going to walk into something untoward. Remothered also supports HDR but doesn’t give an option to turn it off. With HDR on, the game was so dark I had to go into the TV settings to try to brighten the game up just so I could see where I was going. For the sake of the review, I turned HDR off on the PS4 Pro and found an improvement. Obviously, results will vary between devices and this will be a non-issue for most players, this was just my experience with the HDR turned on . So, after the story goes pear-shaped, Rosemary finds herself navigating the hallways of the mansion, trying to find a way out whilst also gathering clues filling in the back story and putting the pieces together as to what happened to little Celeste. Everywhere you look there’s something to pick up. Along the way she’ll also be picking up items to help her survive or get past a locked door or start up a lift to get to the next area. This means you’ll be opening every single drawer or cabinet door whenever you see a little item icon on screen. This is a little frustrating because there’s so many of them. Originally, I stopped looking into every single one only to find out I’d missed a key item I needed to progress the game. For the most part, Rosemary is helpless and vulnerable, but there are some tools at her disposal in the form of Diversion and Defensive items. There’s three types of Diversion items, some you can throw, some you can place on the ground and others are placed on doors. The inventory allows for three items, so you can keep one of each type on you. Defensive items are one-use items that can only be used when an enemy grabs Rosemary. They give her a chance to break away from their grasp after a small QTE prompt, so she can run and hide. These can be upgraded giving Rosemary a minimally slim advantage. Upgrade the durability and the one-use item can be used twice, upgrade the damage and enemies get stunned for longer. You can only carry one of these at a time, so if you use it, you better find another one as soon as you can. Thankfully, they’re not really too hard to come-by. If Rosemary doesn’t have a defensive weapon on her and she gets caught, that’s it, game over and you start back at the last game save. This is really punishing as Remothered doesn’t do auto-saves. To save your game you’ll have to approach certain mirrors beside a metronome, think of these save points like the tape recorders in Resident Evil, except with less of them around. This meant I had to re-do objectives and re-find items I’d found but hadn’t saved, but it also meant I really paid attention to not getting caught again and I really pushed myself to make it to a save point if I knew I was near one. To add to poor Rosemary’s misery, not even safe hiding places are completely safe. If Rosemary hides under a table for example and a Stalker is searching the area, a small mini-game kicks in where you must keep a smaller circle inside a bigger circle using the thumb-stick on the controller. If the smaller circle moves outside the big one, Rosemary gets caught. Adding to the tension, when Rosemary is in hiding, her breathing becomes heavy and panicked and she’ll be vocal about needing to get out of there. Which brings me to a very small nit-pick. I can never tell when it’s OK to leave cover. For the most part the sound in the game is fantastic. But when an enemy is close-by doing its rounds, it sounds the same in the immediate vicinity as it does down the hallway. It’s a small thing but I probably spent more time under tables and in wardrobes than I probably needed to. Remothered: Tormented Fathers is a nice old-school survival horror game that does an excellent job at building tension and atmosphere. The few issues I had with the game are minor. If I’m to add up all the time it took me to complete the game, I’d say it took about nine hours. That was nine hours where I never once felt safe as once it gets going, the games tension just doesn’t let up. I don’t know if I’d sum up my experience as enjoyable, but I mean that as a compliment to the game design and would definitely recommend.